Come at 7 PM to meet and chat with fellow club members. Investigating asteroid impacts using three-dimensional petrography of ordinary chondrites. The imaging technique known as x-ray microtomography allows geologists and meteorite researchers to probe the internal structure of solid materials in three dimensions at extremely detailed resolution, up to 1 micron (1/1000th of a millimeter) per voxel (cubic pixel). Dr. Friedrich will discuss how this technique works and how it is used to investigate physical structure of meteorites and to reconstruct their impact history. This can provide information on the meteorite’s parent body. In the case of ordinary chondrites, these parent bodies are the earliest relics of the newly formed solar system. Jon Friedrich is a Professor of Chemistry at Fordham University. 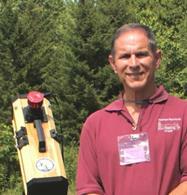 He studies the chemical and physical processes shaping the early solar system. He earned a Ph.D. from Purdue University and is a Research Associate of the American Museum of Natural History. This lecture offers a historical survey of astronomy and astronomical texts from the classical period through the renaissance including Homer, Plato, Aratus, and Copernicus. It considers the science of astronomy in light of its relation to literature and philosophy, in particular to Stoicism. Matthew McGowan is a classical philologist with research interests in Latin literature and ancient scholarship. He has published broadly on a variety of Greek and Latin topics and his books include Ovid in Exile (Brill, 2009) and Classical New York: Greece and Rome in Gotham (Fordham University Press, 2018). He teaches a wide range of courses, from classical myth to Latin prose composition, and regularly leads tours where Latin can be found: Rome, Paris, the NY Botanical Garden, and the Bronx Zoo. He was President of the New York Classical Club (2009-2015) and is now Vice- President for Communications and Outreach for the Society for Classical Studies (2016-2020). We have been informed by Pace that they are hosting the Westchester High School basketball playoffs on Friday night again this year and that parking will be extremely problematic, with potentially 1,000 cars seeking parking on campus. It is very likely that few spaces will be available in the lot outside of Lienhard Hall. 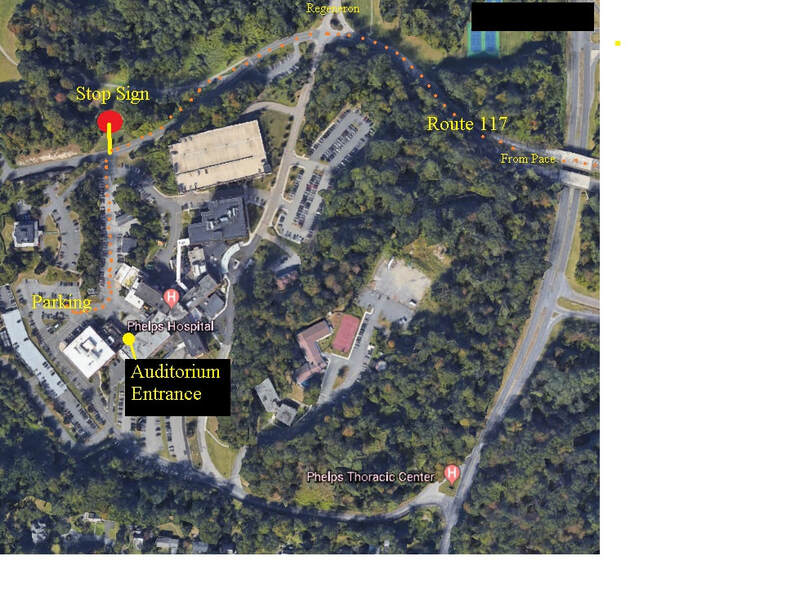 As a result, we have decided to move the site of our WAA meeting and lecture to the Auditorium at Phelps Hospital, just 3.2 miles down Route 117 from Pace. Parking is available just outside of the Auditorium, which has excellent audiovisual equipment. Phelps Hospital is located 5 minutes west of Pace on Route 117 and Route 9 (Broadway). 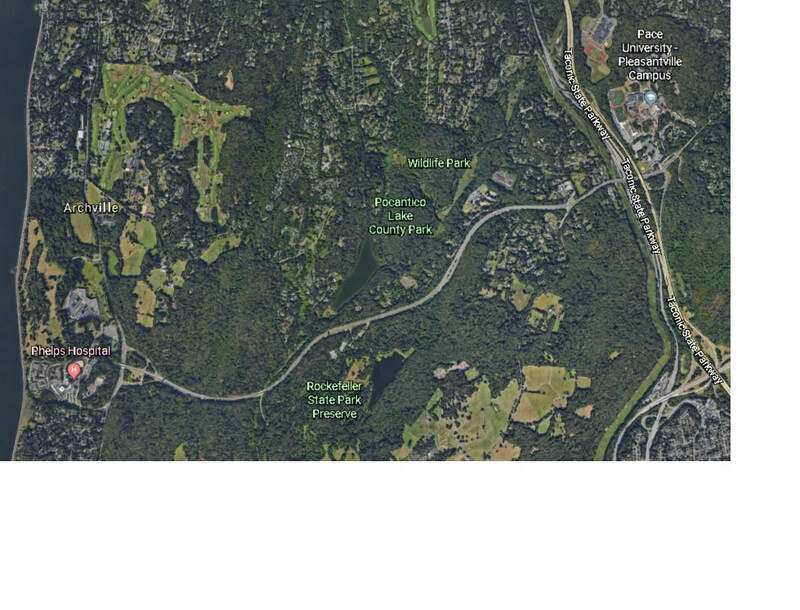 Click here for an overview satellite image of the area. To get to the Phelps Auditorium from Pace, drive west on Route 117 until you see the sign for Phelps on your left and Regeneron on your right. Keep going straight until the stop sign. Turn left and drive straight ahead about 500 feet behind the hospital, past the loading dock and Auditorium entrance to the parking lot on your right. The Auditorium entrance is up a few steps into the hospital; the Auditorium is immediately to your right upon entering the building. Click here for a detailed image of the route, which is marked in orange dots. 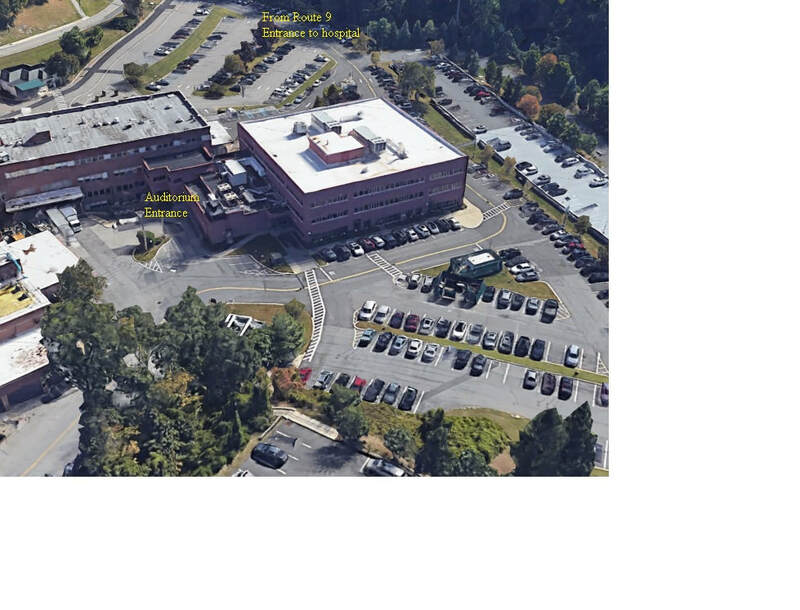 Click here for a very detailed satellite image of the parking area and the auditorium entrance. And click here for a 3D view of the parking area and the Auditorium entrance. 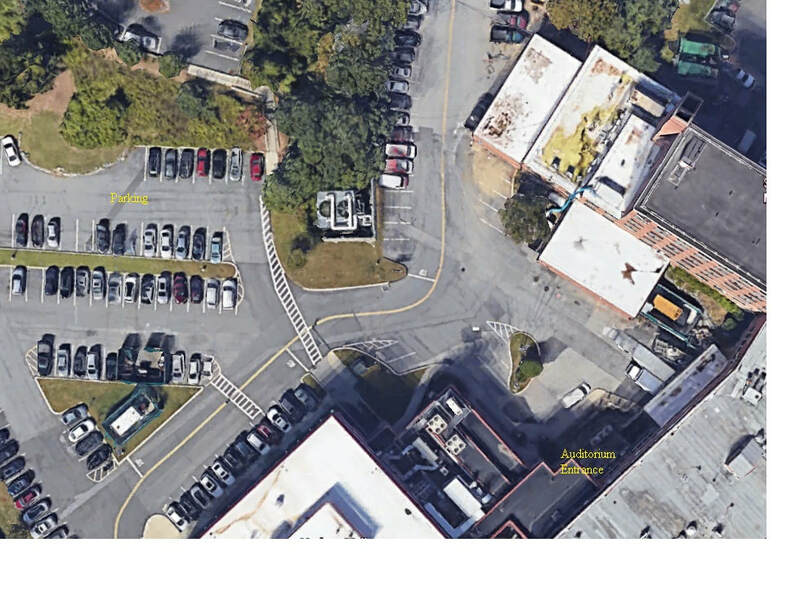 If you are coming from Route 9, just turn onto the hospital property at the main entrance and go straight ahead, past the red brick building to the parking lot. We apologize for any inconvenience, but we think that this is a much better solution than dealing with what is sure to be a traffic and parking nightmare at Pace. This meeting is also the official Annual Meeting of WAA. New officers will be elected. We are privileged to present Dr. Jon Morse. CEO of the BoldlyGo Institute, who will discuss the possibilities of returning to the moon to build scientific facilities. 7:30 pm at the Lienhard Hall 3rd floor conference room, Pace University, Pleasantville. Free and open to the public. The increased interest by NASA, international space agencies and private sector companies in returning to the Moon with robotic and crewed missions during the next decade and beyond opens up new possibilities for conducting scientific investigations from the lunar surface. Pros and cons will be discussed in this context regarding establishing lunar-based observatories to study the cosmos and how such facilities might work in concert with future ground-based and free-flying space-based telescopes. Dr. Jon Morse is CEO of the BoldlyGo Institute. He has more than 20 years of leadership experience in space missions, space-focused organizations, and science and innovation policy. His academic appointments include Professor of Physics at RPI and Associate Professor of Physics & Astronomy at ASU. He served as Director of the Astrophysics Division at NASA HQ from 2007-2011, overseeing the launches of Fermi, Kepler, WISE, Hubble Space Telescope (HST) SM4 and other missions. Prior to that he served as a Senior Policy Analyst in the White House Office of Science & Technology Policy with a portfolio encompassing physical sciences and engineering at NSF, DOE, NASA and NIST. Before moving to ASU in 2003, he served as Project Scientist for the HST Cosmic Origins Spectrograph while at the University of Colorado. He is a Harvard graduate and earned his PhD from the Department of Physics & Astronomy at the University of North Carolina at Chapel Hill. Our next meeting will be on Friday, September 14th at 7:30 pm at the Lienhard Hall, Pace University, Pleasantville. Our WAA tradition is to start the fall meeting series with Members’ Night. WAA’ers present talks on their astronomy travels, equipment, imaging techniques and observing experiences. It’s our most popular meeting and a great way to start off the academic year and to meet fellow club members. We’ll also be giving away some interesting and valuable door prizes! The October meeting will on Friday, October 5th at 7:30 pm. Satya Nitta of IBM will present a talk on the use of artificial intelligence in astronomy. More information and directions are on the Lectures page. 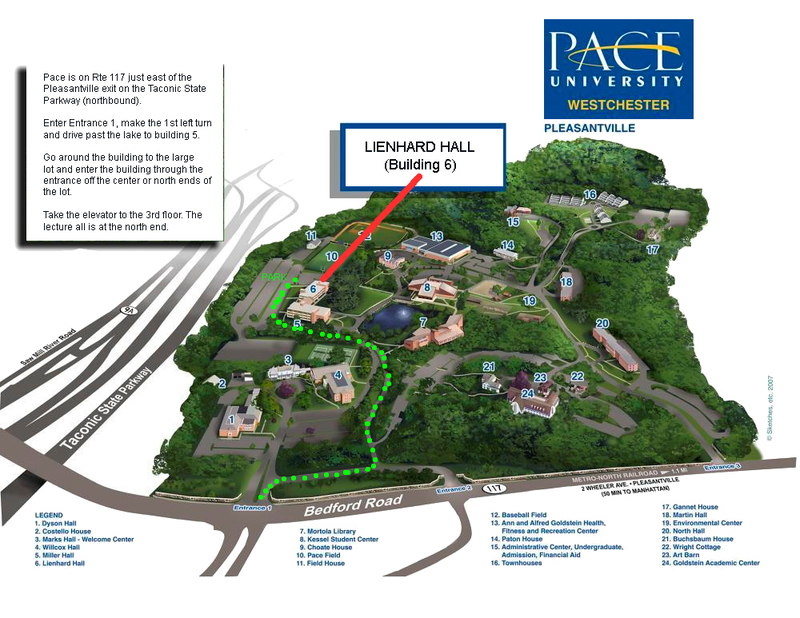 Our lectures are held in Lienhard Hall on the Pleasantville Campus of Pace University. The best entrance to Lienhard Hall is from the parking lot on the west side of the building. see this map for detailed instructions.